Pioneers in the industry, we offer zingysip instant pista tea - 200 gm and zingysip instant almond tea - 200 gm from India. We have Innovated and developed Natural Exciting and interesting Flavours using Natural Dry Fruits like Pista Tea. We bring Quality Tea from Assam , Aroma from Tea Bushes blended with Natural Pista crushed and powdered inhouse. Fresh Dry Fruit Flavour & Aroma blended Inhouse to create flavour and taste as Rich , Fresh ,Fragrant , Aromatic to create a sensational and Fresh Dry Fruit taste of Pista . 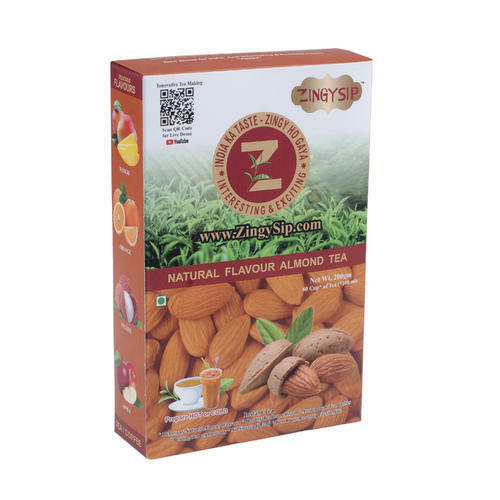 We have Innovated and developed Natural Exciting and interesting Flavours using Natural Dry Fruits like Almond Tea. We bring Quality Tea from Assam , Aroma from Tea Bushes blended with Natural Almonds crushed and powdered inhouse.